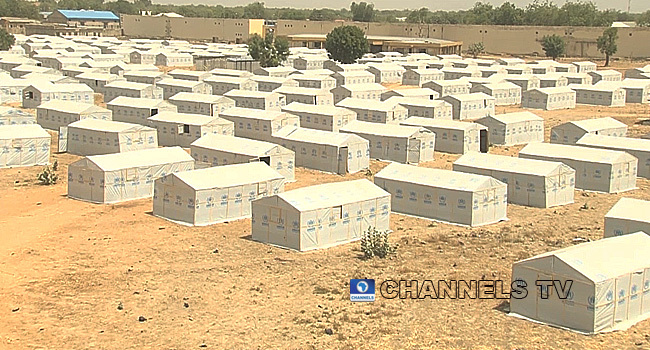 A new settlement/ IDP Camp under construction in Borno State. The ongoing insurgency in the North East has continued to take its toll on the people in the affected communities, leaving thousands displaced and helpless. With the steady increase in the number of displaced persons, resources have become overstretched and among other things, the health risks are at an all-time-high as IDP camps get over-crowded. Twenty-year-old Aisha Ali who is a mother of three and a divorcee from Monguno Local Government Area in Borno State, is one of the many victims of the insurgency in Nigeria’s North East. Teary-eyed and carrying her twin babies in each arm, she narrated her ordeal to Channels Television. “I am not originally from this camp. I went to Jiddari where there was a temporary shed for displaced people. So I stayed with a woman I met there. But when they came and killed people we all ran away,” she said. 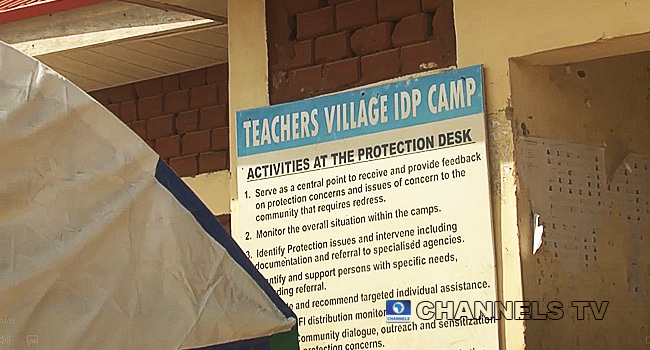 Many had fled to the Teachers’ Village where an IDP camp has now been established. 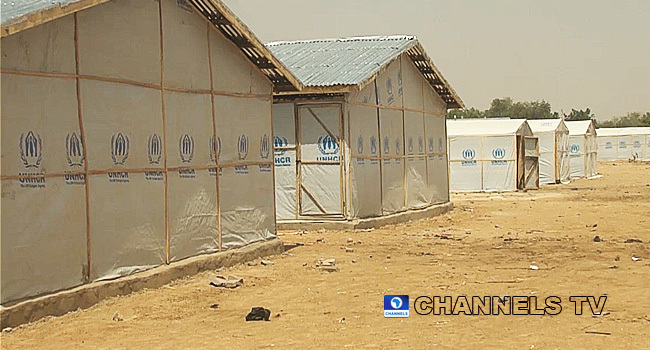 It was initially built in January 2014 by the Borno State Government to serve as an accommodation for teachers in the state but by 2015 it became home to thousands of displaced persons fleeing from the insurgents. 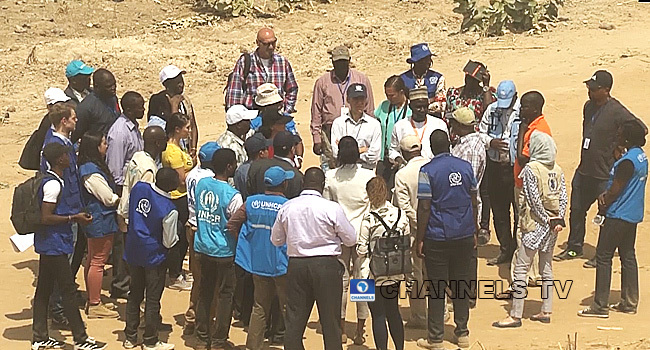 Since November 2018, the camp has absorbed more than 20,000 newly displaced persons, bringing its total population to over 31,000 as against the planned capacity of about 5,000. “This camp initially is meant for about five or six thousand people but it has close to 10,000 because comfortably, people are living there. But there has been a mass influx of people as a result of the insurgency, so its population is now over 31 thousand,” an official of the State Emergency Management Agency (SEMA) in Borno, Usman Kachalla said. The development has also become a source of serious concern for humanitarian partners like the UN who say they are worried about the imminent dangers such as fire accidents or disease outbreaks, among other things, associated with such congested living conditions. But the Borno State government is stepping in to help in this regard by constructing new shelters for the displaced persons. 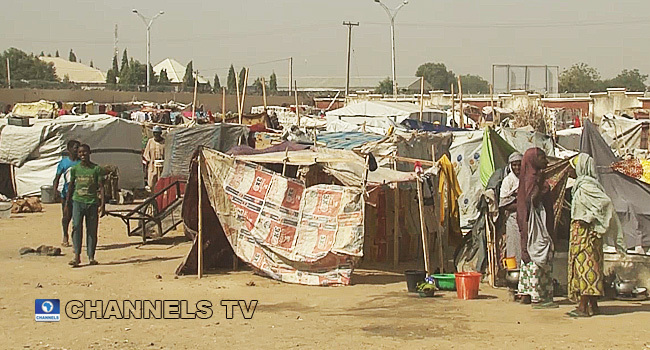 Already, some of the IDPs have started to relocate to the alternative shelter provided by the state government. One of the women leaders, Lami Mohammed, expressed gratitude over the new settlement. “You cannot compare how we live here and the other place. Honestly, in the past we really faced difficult times; cold, mosquitoes and we were just outside. Our husbands slept in the open but here, we have our dignity and privacy and there’s enough space for everyone”. Despite the provision of the basic amenities by the government, the welfare of the IDPs remains a topic of concern especially as women and children consist about 87% of the displaced population.